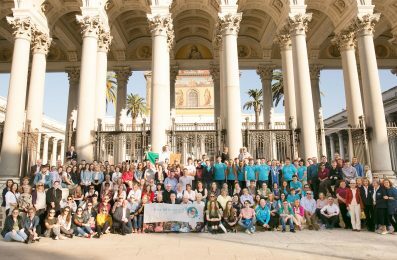 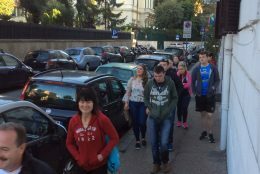 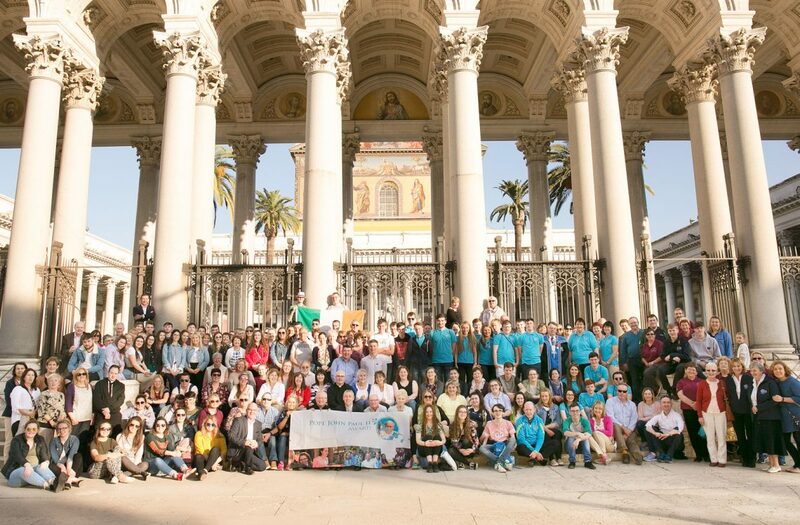 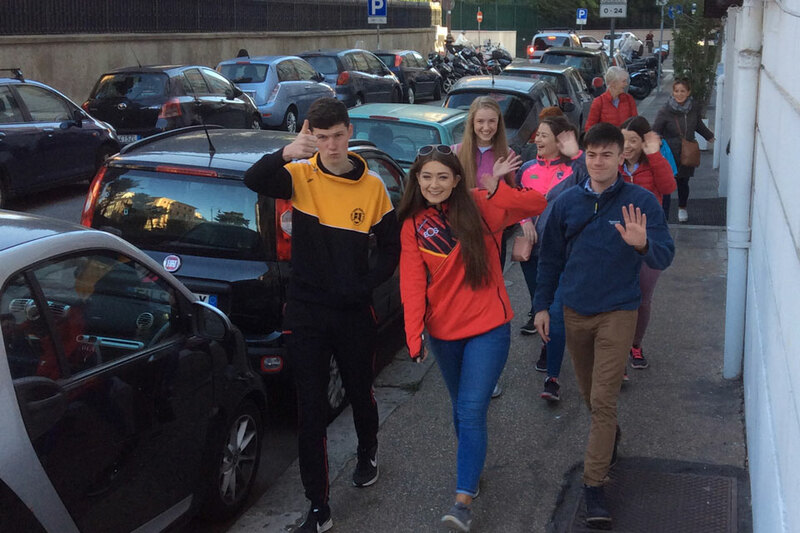 On Sunday, 29 October to Friday 3 November 2017, 180 pilgrims from 13 dioceses throughout Ireland gathered in Rome to celebrate 10 years of the Pope John Paul II Award. 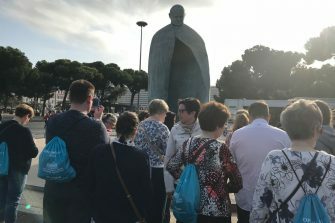 Pilgrims at the statue of Pope St John Paul II at Termini Station, Rome. 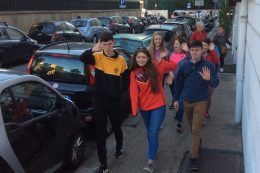 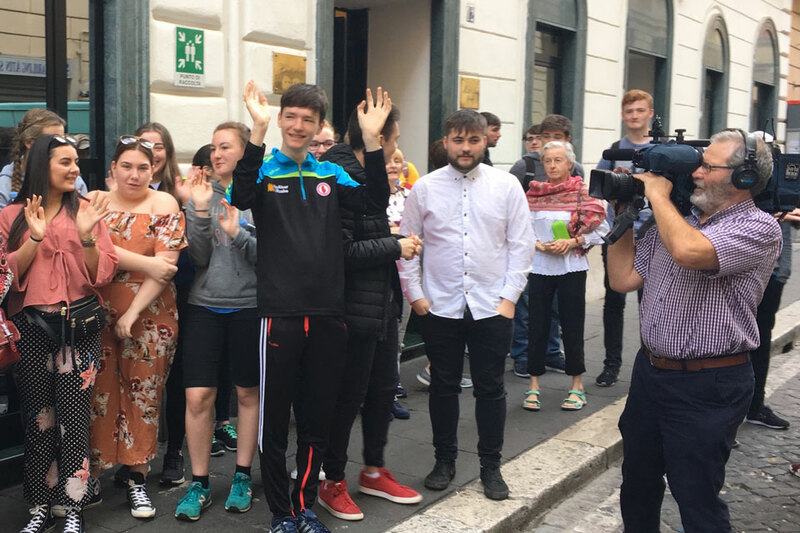 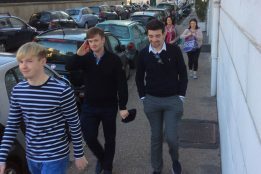 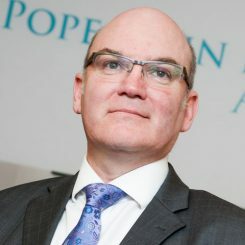 The group, led by Award Patron, Bishop Donal McKeown, was made up of young people who are currently participating in the Award, those who have received the Award, Award Leaders, Award Coordinators, parish leaders, parishioners and 7 parish priests from dioceses running the Award. The dioceses of Achonry, Ardagh & Clonmacnois, Armagh, Clogher, Cloyne, Derry, Dromore, Down & Connor, Elphin, Ferns, Kildare & Leighlin, Tuam and Waterford & Lismore were all represented. 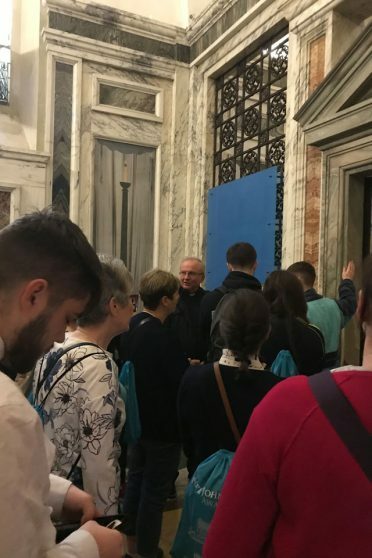 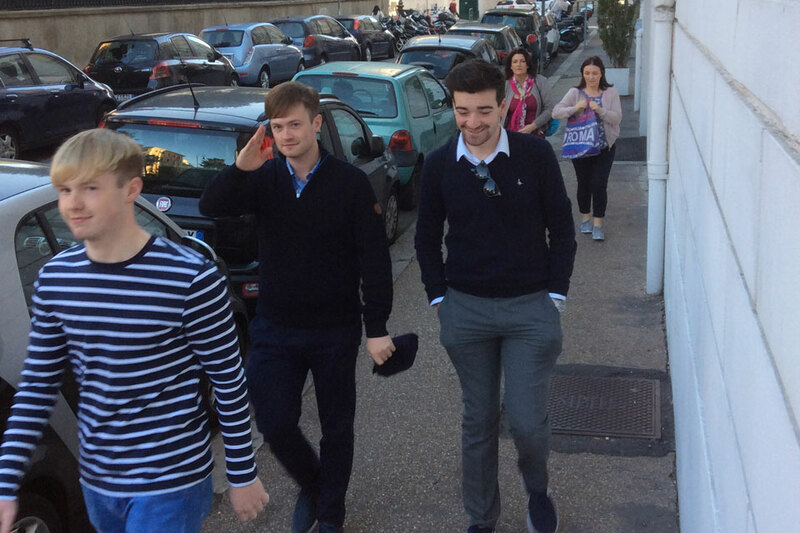 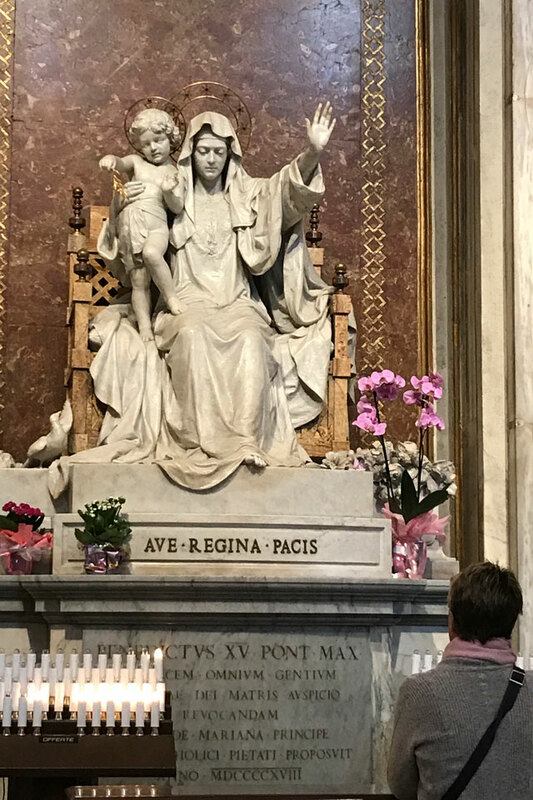 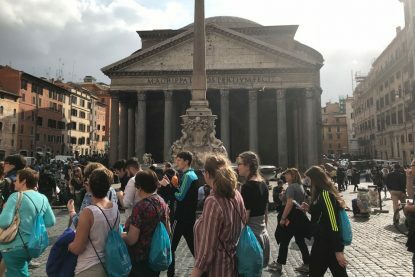 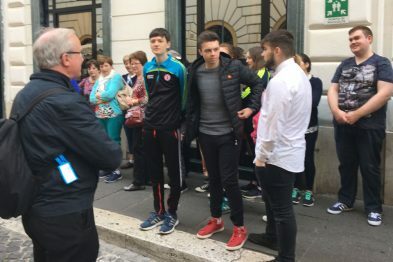 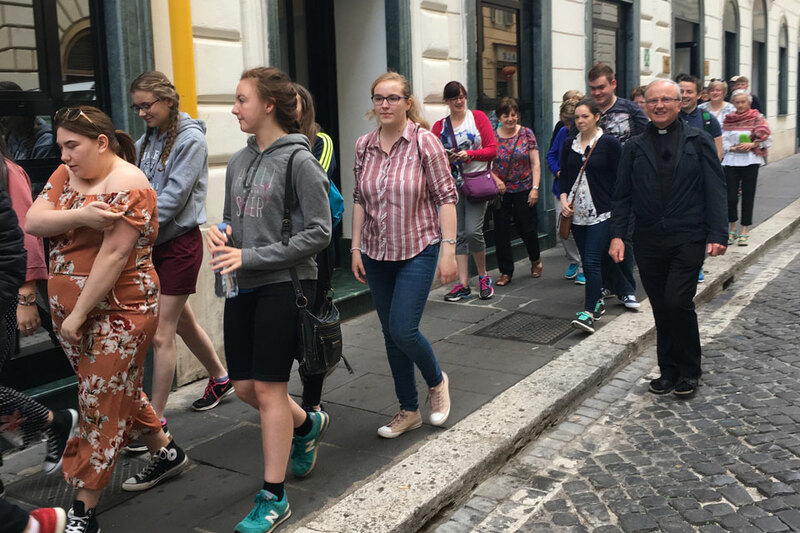 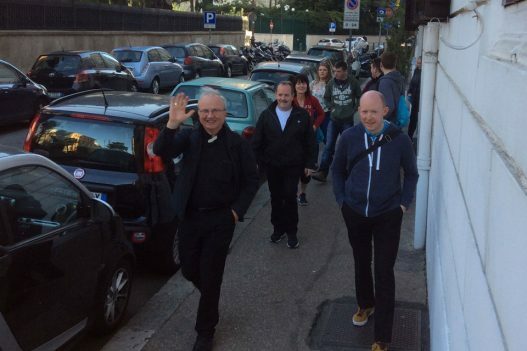 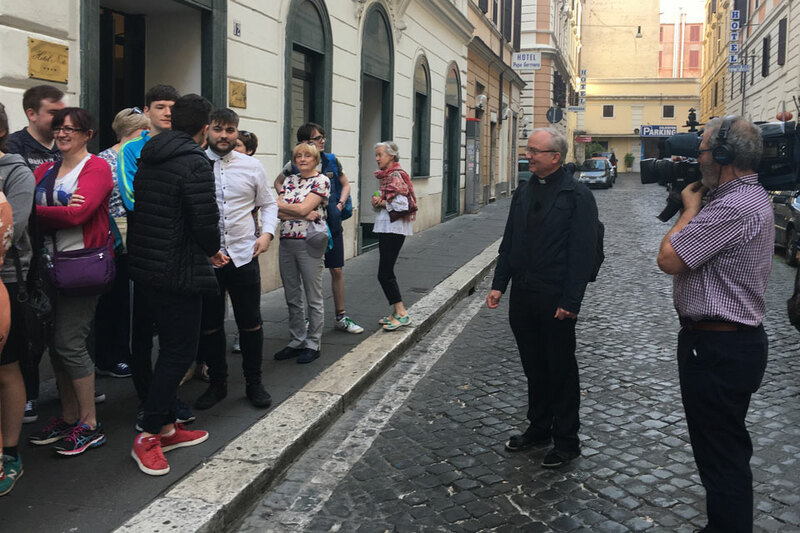 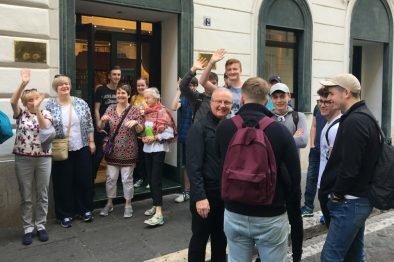 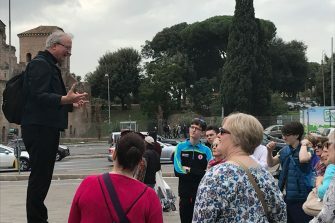 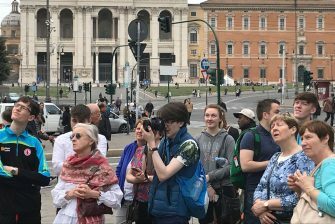 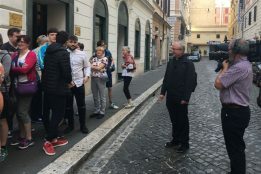 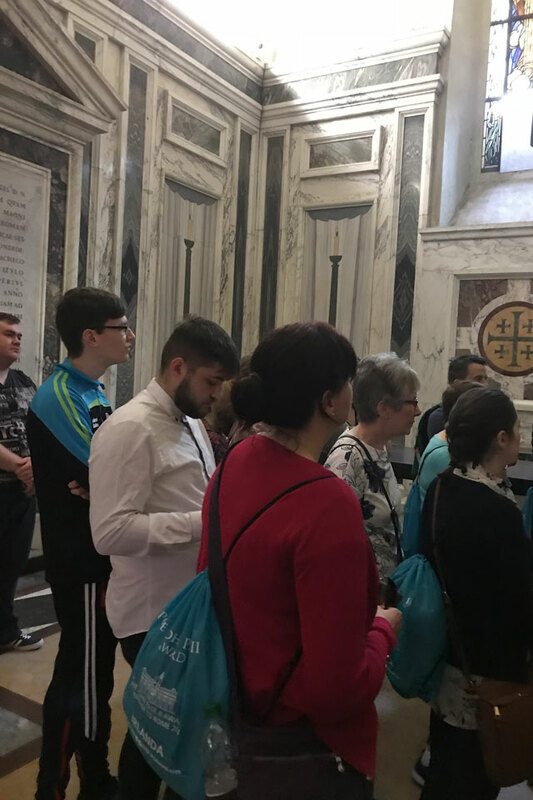 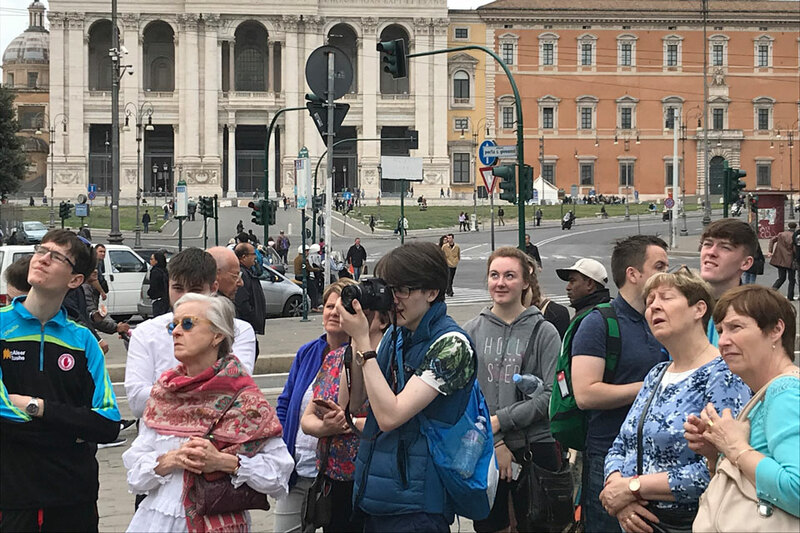 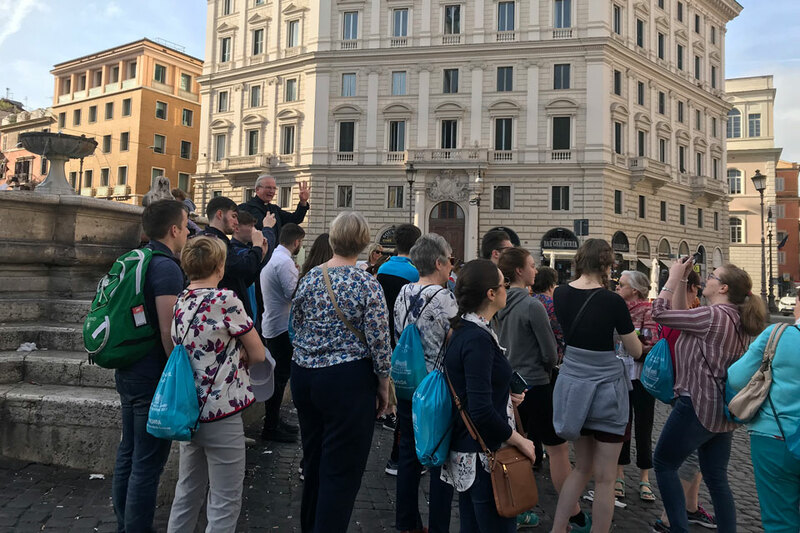 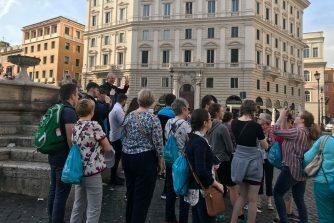 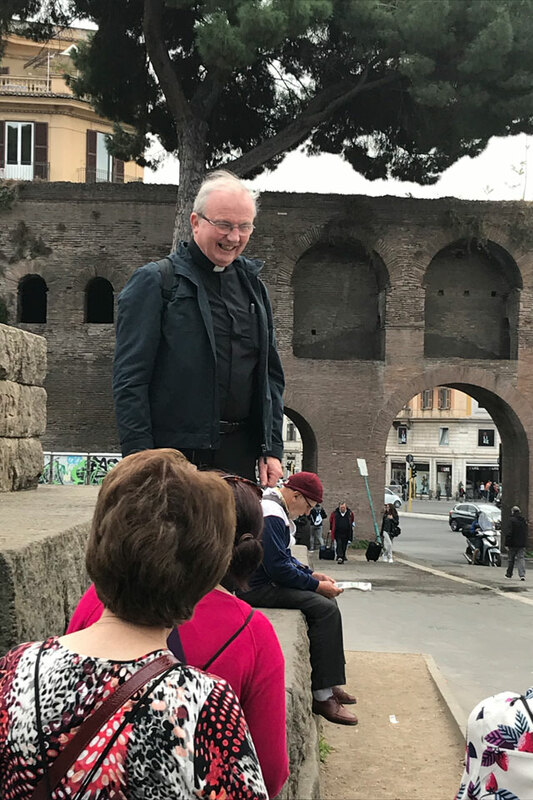 During the pilgrimage, Bishop Donal McKeown led pilgrims on a Seven Church walking pilgrimage of Rome visiting the Basilica of St Mary Major, Basilica of Santa Croce in Gerusalemme, Basilica of San Clemente, the Church of San Ignazio, Pantheon and the Basilica of Santa Maria in Trastevere. 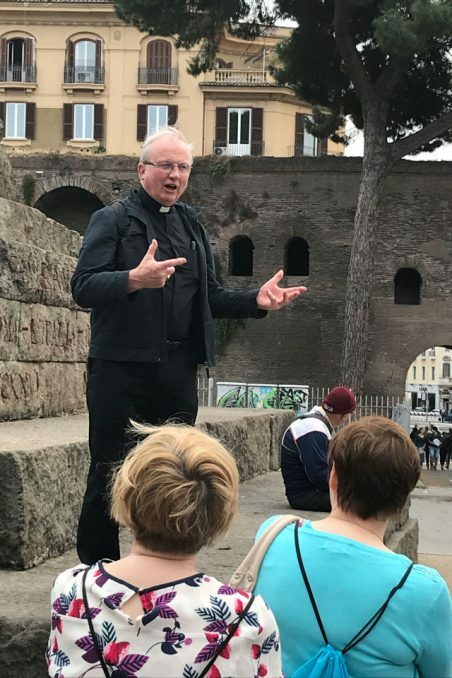 Bishop Donal shared his knowledge and insight into Church and their importance to the history of Rome and the Catholic Church. 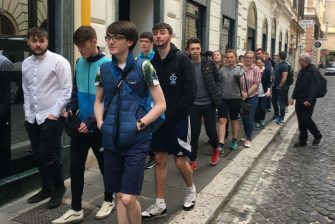 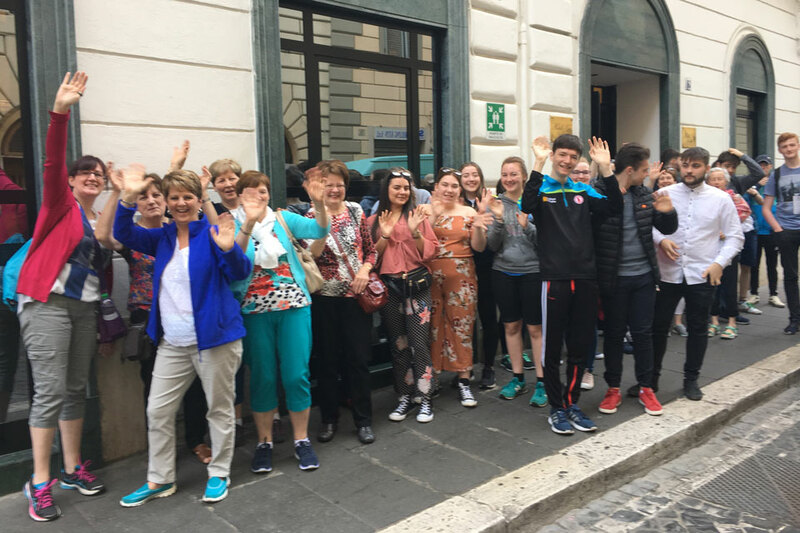 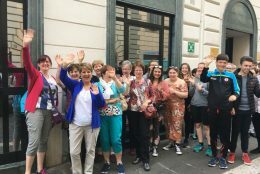 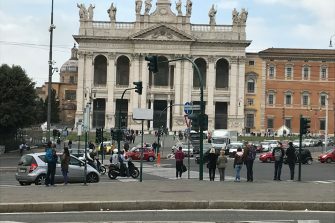 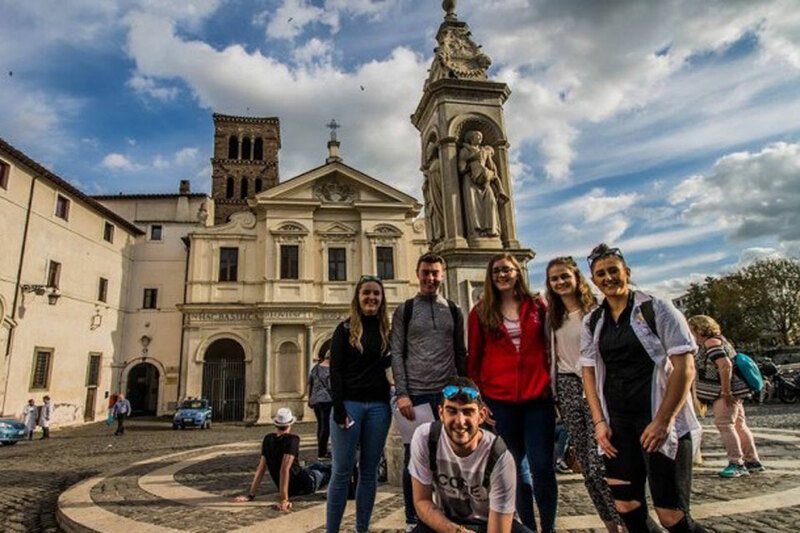 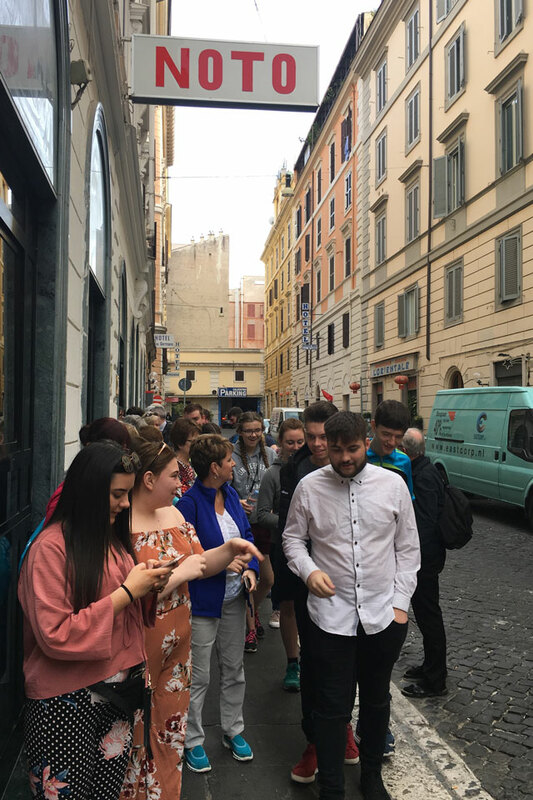 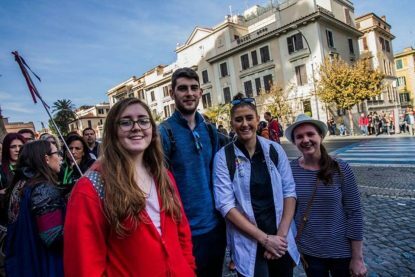 The 12km tour concluded with Mass at the Basilica di San Bartolomeo all’Isola where the walking pilgrims joined others in the group who had spent a less strenuous morning on a tour of the Vatican museum and the Sistine Chapel. The images below capture some of the sites of the fascinating city that is Rome. While in Rome, Pope John Paul II Award pilgrims witnessed this impressive display of a starling murmuration over the Tiber at the Basilica di San Bartolomeo all’Isola on the evening of Monday, 30 October 2017. 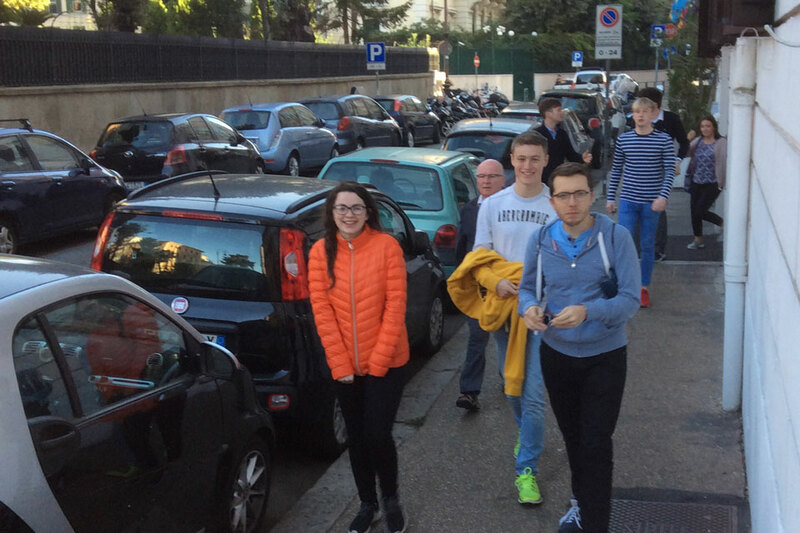 The sight and sound of thousands of starlings swirling around the sky at dusk was amazing.